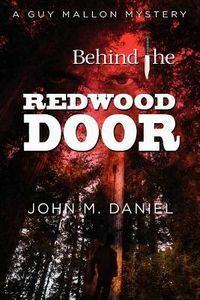 Behind the Redwood Door by John M. Daniel: Synopsis and Online Purchase Options. Synopsis (from the publisher): Guy and Carol Mallon own a used bookstore on the north coast of California, a land of rocky shores and redwood forests, with a rich history of gold, lumber, Native Americans, and hardy entrepreneurs. They are content with their small-town life until Pete Thayer, their friend and the publisher of the local alternative newspaper, is stabbed to death behind their favorite tavern. Urged on by Pete's girlfriend, River Webster, Guy begins to poke around, uncovering a past festering with power politics, a newspaper war, a multigenerational family feud, marijuana traffic — and murder. Guy's investigation takes him from the town square to the harbor to the forests and into the mountains, where he must confront evil in the form of a bully nearly twice his size.